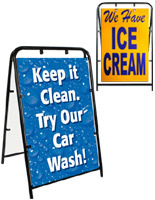 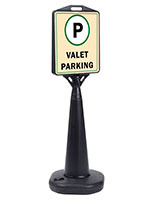 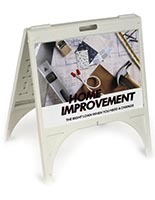 These plastic A-frame signs are some of our most affordable displays for use inside or outside. 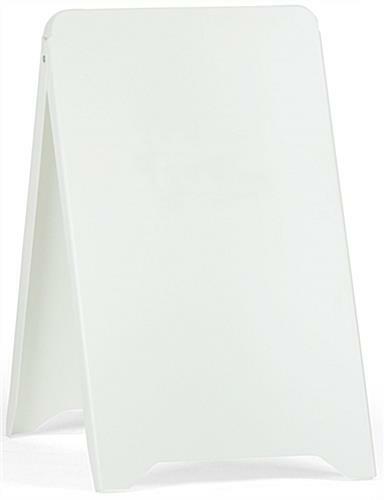 The sandwich boards have a folding design that helps make them portable. 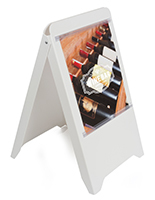 The A-frame signs with white color are best used with vinyl lettering or graphics that have been tapped to each side. 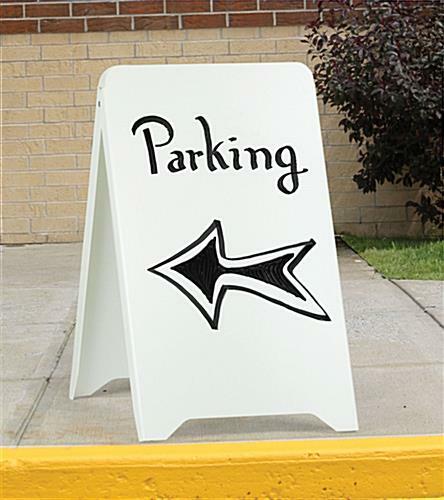 If markers are used on the double-sided sidewalk displays, the lettering will be permanent. 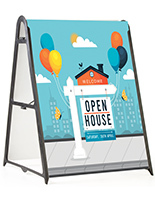 The signs only weigh 10 pounds and fold down almost flat for easy storage. 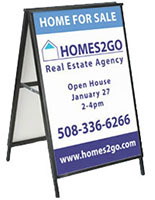 The portable sidewalk sandwich boards are favorite advertising tools because of their ease of use.